Winning the pitching Triple Crown is a great achievement for a Major League pitcher. A pitcher wins the Triple Crown (an unofficial honor for which no award is actually given) by leading the league in three major pitching categories in the same season: wins, earned run average (ERA), and strikeouts. Although more precise statistics are available to measure a pitcher's skill and value, leading the league in these three pitching categories is clearly the mark of a great and dominant season on the mound. Since the American League was born in 1901, only 11 pitchers have won the AL pitching Triple Crown. 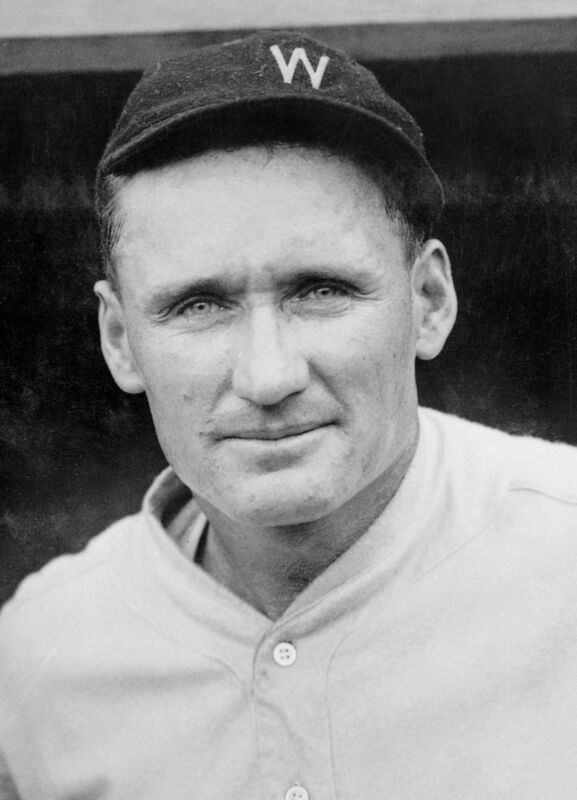 One pitcher, Walter Johnson, won it three times, and three players, Lefty Grove, Lefty Gomez, and Roger Clemens, won it twice, resulting in a grand total of only 16 Triple Crown seasons in 118 years of American League baseball. Bold type indicates Major League leader. Naturally, it is even more unusual to win the honor for all of Major League Baseball—to be the best in all three of these pitching categories in both leagues. Although a number of the Triple Crown winners led the majors in one or two of the three categories, only four American Leaguers have been the best in the big leagues in all three categories in the same season, with two pitchers accomplishing the feat twice. As the table shows, Walter Johnson’s first two Triple Crowns, in 1913 and 1918, were Major League crowns, and Lefty Grove’s two consecutive titles in 1930 and 1931 also led the majors. In 1945, Hal Newhouser won the Major League Triple Crown, and Johan Santana was the best in both leagues in 2006. The 11 American League pitchers who won the Triple Crown all had (or are having) solid careers, and their names appear in numerous lists of the best pitchers in baseball history. Among them, they won multiple Cy Young Awards (named after the first AL Triple Crown winner) and MVP awards and were selected to numerous All-Star teams. The first seven AL winners are in the Baseball Hall of Fame, and the ninth winner, Pedro Martinez, was elected to join them in 2015. Roger Clemens was on the ballot for the first time in 2013, but in his first seven years of eligibility he has not reached the vote total needed for induction. Here's a chronological guide to the American League's pitching Triple Crown winners. Denton True “Cy” Young of the Boston Americans won the American League Triple Crown in 1901, the first year of the league’s existence. Young led both leagues with 33 wins and an ERA of 1.62 while leading the American League with 158 strikeouts. His mark of 0.9 walks per 9 innings was also best in the majors, as was his 4.27 strikeout to walk ratio. 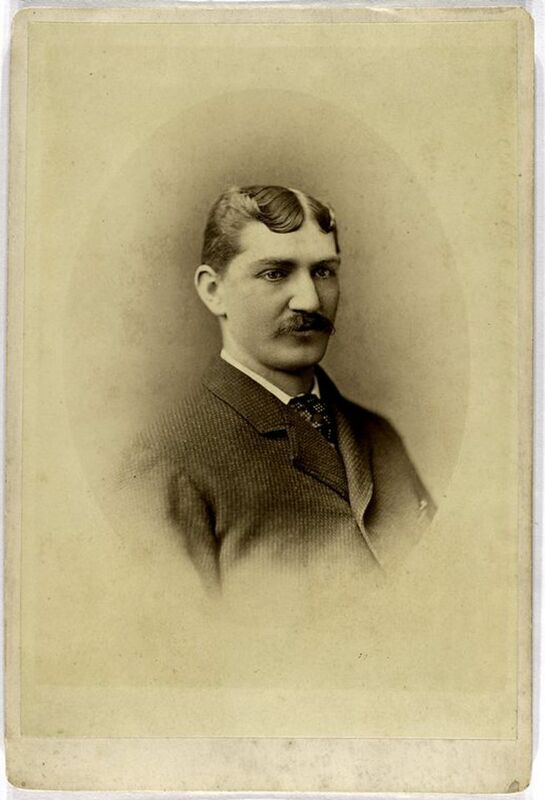 Young began his career in 1890 with the Cleveland Spiders of the National League and was a star pitcher for the NL before he provided immediate credibility to the new American League when he joined the Boston franchise in 1901. In his 22-year career, he won over 20 games 15 times and over 30 games 5 times, finishing with a record 511 wins that will never be approached, let alone broken. 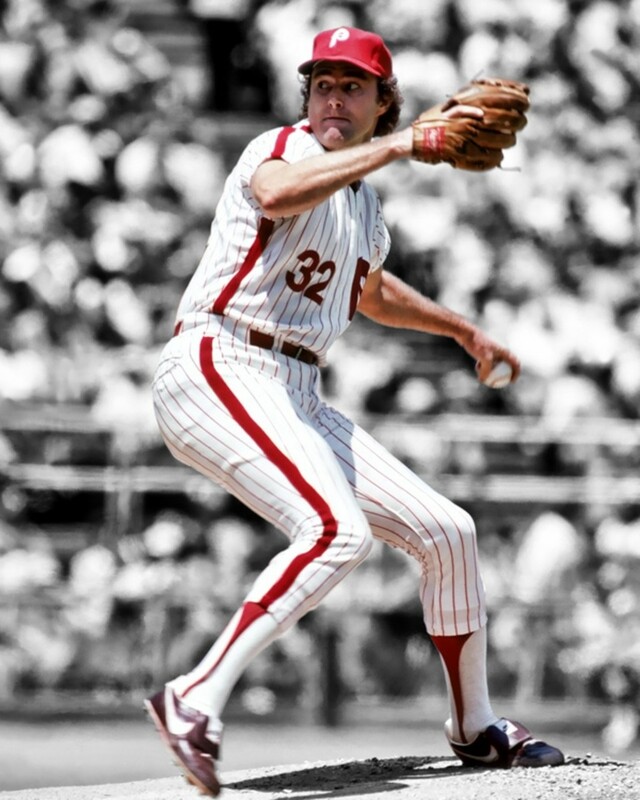 His career 2.63 ERA and 2,803 strikeouts were posted in 906 games, including a record 749 complete games. 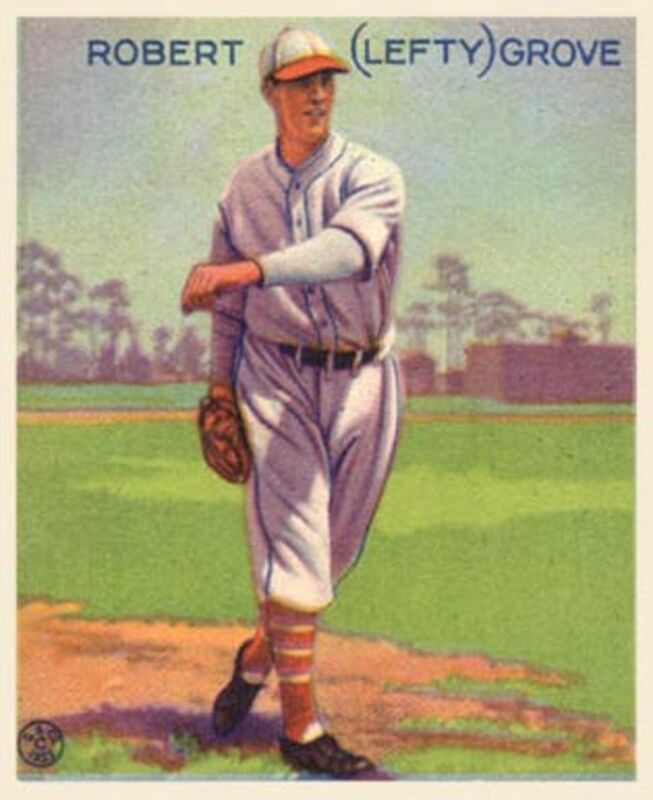 Young was inducted into the Hall of Fame in 1937, and the Cy Young Award for pitching excellence was named in his honor. In 1905 Philadelphia Athletics left-hander George Edward “Rube” Waddell had 27 wins and a 1.48 ERA to lead the American League, and his 287 strikeouts were tops in the majors. He also led the majors in games pitched, fewest hits per 9 innings and most strikeouts per 9 innings. His most memorable win occurred on July 4 when he beat Cy Young of the Boston Red Sox in a 20-inning game in which both pitchers went the distance. The Athletics won the AL pennant, but Waddell missed the World Series with a shoulder injury. 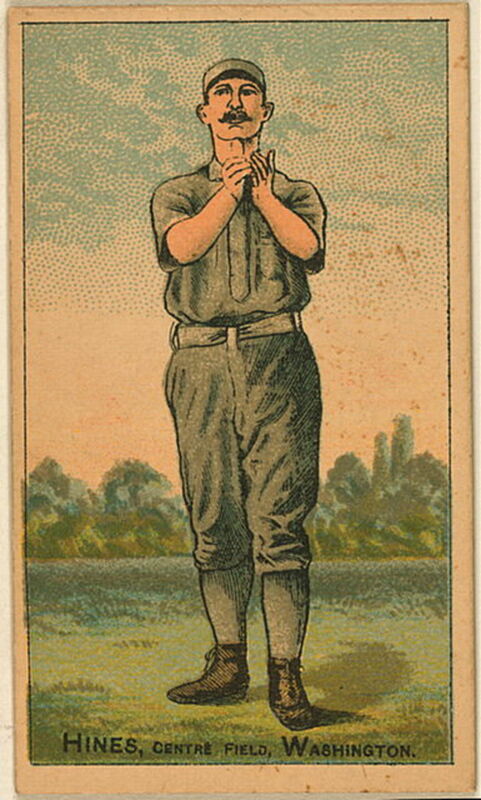 Waddell’s 13-season career (1897, 1899-1910) included 4 consecutive seasons in which he won more than 20 games, and he finished with 193 career wins to go along with a 2.16 ERA and 2,316 strikeouts. He led the American League in strikeouts for 6 seasons in a row, leading the majors in 5 of the 6, including a post-1900 single-season record of 349 in 1904, which was not bested until Sandy Koufax fanned 382 in 1965. 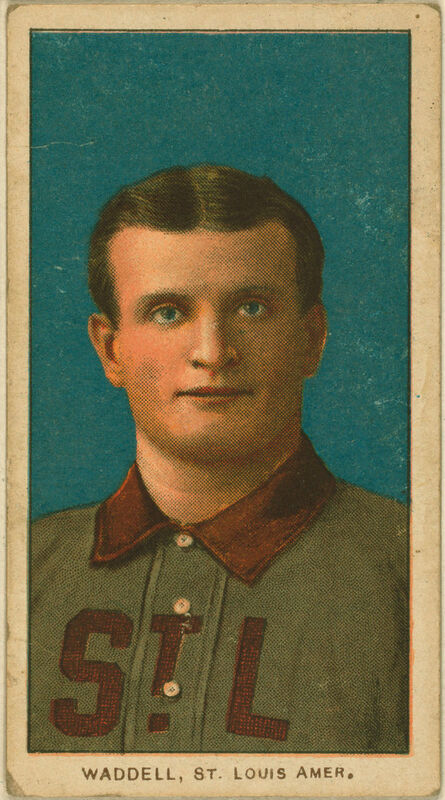 The talented but eccentric Waddell played for 5 teams in his career. He died from tuberculosis at age 37 in 1914 and was posthumously elected to the Hall of Fame by the Veterans Committee in 1946. 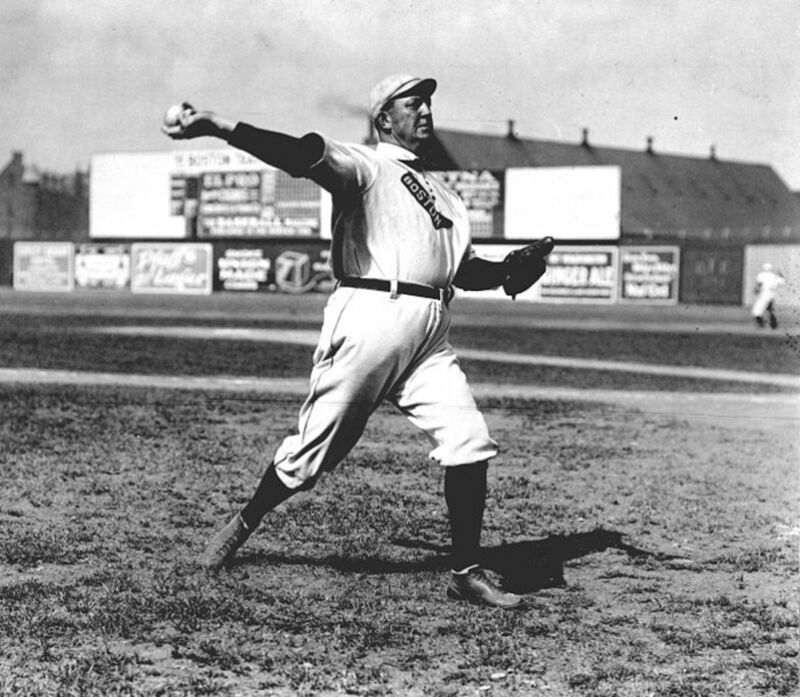 Washington Senators right-hander Walter “Big Train” Johnson is the only American League pitcher to win the Triple Crown three times, accomplishing the feat in 1913, 1918, and 1924. In his dominant 1913 season, he led the major leagues with 36 victories against only 7 losses for a .837 winning percentage. His 1.14 ERA and 243 strikeouts also led the majors, as did his 29 complete games, 11 shutouts, and 6.3 strikeouts to walks ratio. The Senators finished second, but Johnson was named the AL’s MVP. 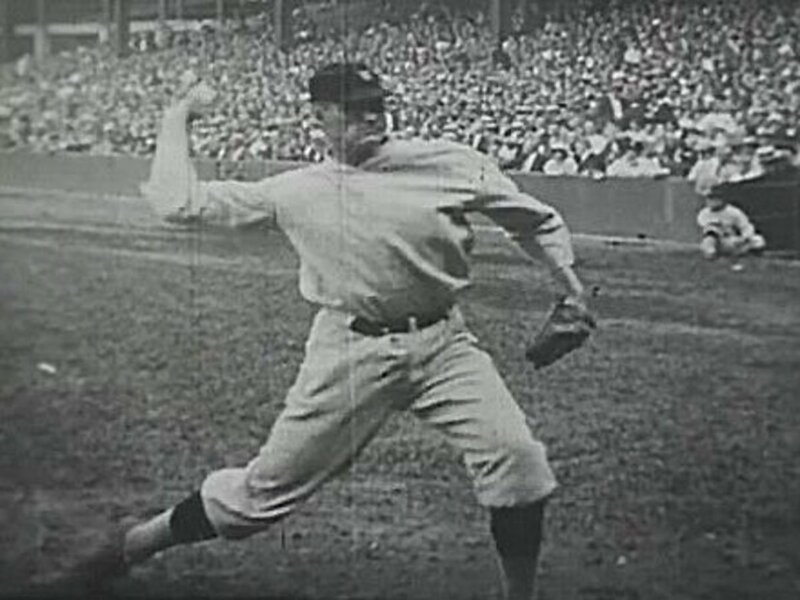 In 1918, Johnson led the both leagues with 23 wins, a 1.27 ERA, and 162 strikeouts. He again led the majors in shutouts, with 8. In 1924, he posted 23 wins, including a major league best 6 shutouts, an ERA of 2.72, and 158 strikeouts. He was named the American League MVP for the second time, as the Senators won the pennant and went on to beat the New York Giants in the World Series. 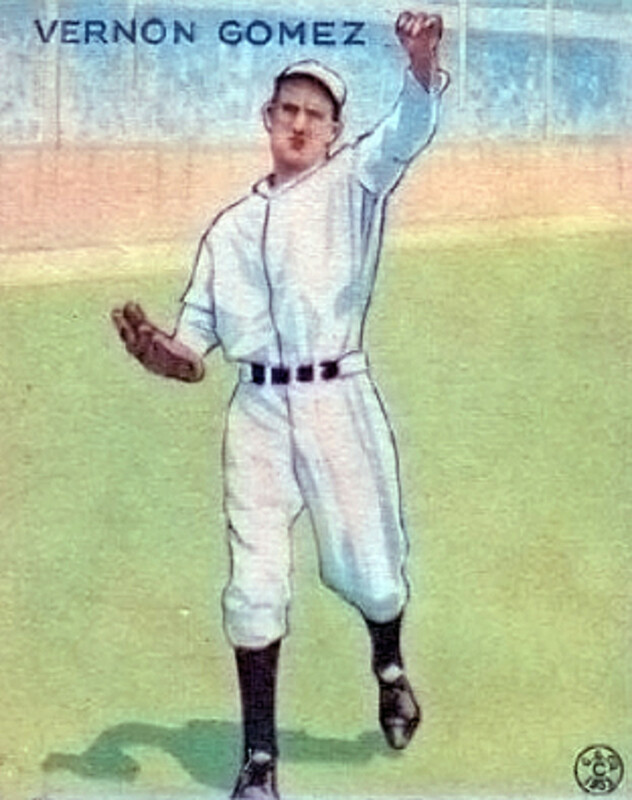 Johnson pitched for 21 seasons, from 1907 to 1927, all with the Senators. He led the league in wins 6 times and put together 10 consecutive seasons with 20 or more wins. He led the AL in ERA 5 times and strikeouts 12 times. His 417 career victories are second all-time, his 2.17 ERA is 12th best, and his 3,509 career strikeouts rank 9th. Johnson also holds the career record for shutouts with 110. He was one of the original 5 players inducted into the Hall of Fame in 1936. Robert Moses “Lefty” Grove of the Philadelphia Athletics won the AL and Major League Triple Crown in both 1930 and 1931. He had superb winning percentages in both years. In 1930, he posted a record of 28-5 for a .848 percentage, along with a 2.54 ERA and 209 strikeouts. He also led the majors with 9 saves. In 1931, he won the MVP award with a 31-4 record (.886 winning percentage). His ERA was 2.06, he had 175 strikeouts, and he led the majors with 27 complete games. The Athletics won the American League pennant in both 1930 and 1931, beating the St. Louis Cardinals in the World Series in 1930 but losing to the Cardinals in 1931. Grove was an American Leaguer for all 17 years of his career, pitching 9 seasons for the Athletics from 1925 to 1933 and 8 seasons for the Boston Red Sox from 1934 to 1941. He won 20 or more games 8 times, leading the league in 4 of those years and finishing with 300 career victories. His ERA, the best in the league 9 times, was 3.06 for his career, and he finished with 2,266 strikeouts after leading the league in that category for each of his first 7 seasons. Grove was a 6-time All-Star and was elected to the Hall of Fame in 1947. Vernon Louis “Lefty” Gomez of the New York Yankees won the Triple Crown twice, in 1934 and 1937. In 1934 he led the AL with 26 wins, a 2.33 ERA and 158 strikeouts. His 25 complete games topped the majors, and he was named to the All-Star team. In 1937, he recorded 21 wins to lead the league, with a major league best 2.33 ERA and 194 strikeouts. His 6 shutouts also led the majors. The Yankees won the pennant and the World Series, as Gomez pitched two complete game victories and posted a 1.50 ERA and 8 strikeouts. Gomez pitched for the Yankees for 13 seasons, from 1930 to 1942, then pitched in one game for the Washington Senators in 1943 before retiring. He won a total of 189 games in his career, with a 3.34 ERA and 1,468 strikeouts. He was named to 7 consecutive All-Star teams and was selected to the Hall of Fame by the Veterans Committee in 1972. Right-hander Bob Feller of the Cleveland Indians won the Triple Crown in 1940, at age 21, by leading the majors with 27 wins and 261 strikeouts and leading the AL with a 2.61 ERA. He also led the league with 4 shutouts and led the majors with 31 complete games. The most memorable win occurred on Opening Day, when he pitched a no-hitter against the Chicago White Sox — the only Opening Day no-hitter in Major League Baseball history. Feller made his big league debut with the Indians in 1936 when he was just 17 years old, and he spent all 18 seasons of his career (interrupted for more than 3 years for military service in World War II) with the Indians. He had 6 seasons with 20 or more wins, leading the league each time, and finished with 266 lifetime wins. He never led the league in ERA other than in 1940, but he led the majors in strikeouts 7 times — including the 4 seasons preceding his military service and his first 3 full seasons afterward. He was an 8-time All-Star and was elected to the Hall of Fame in 1962. Left-hander Hal Newhouser of the Detroit Tigers won the Major League Triple Crown in 1945 with 25 wins, a 1.81 ERA, and 212 strikeouts. He also led the majors with 29 complete games and 8 shutouts. He won his second consecutive American League MVP award as the Tigers won the pennant and then went on to beat the St. Louis Cardinals in the World Series. 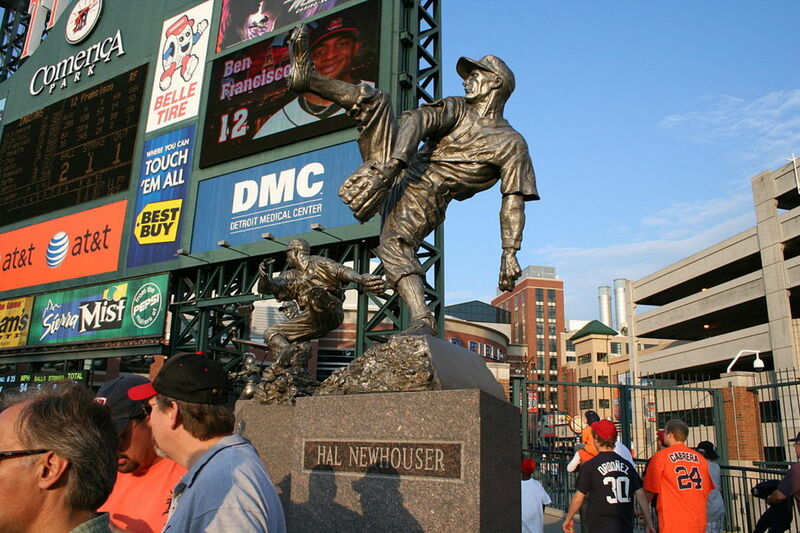 Newhouser had a 17-year career from 1939 to 1955, including 15 seasons with the Tigers and 2 with the Indians. He finished with 207 wins, a 3.06 ERA, and 1,796 strikeouts. In addition to his 2 MVP awards, he was a 6-time All-Star and was inducted to the Hall of Fame in 1972 after selection by the Veterans Committee. After a drought of more than 50 years without an AL Triple Crown winner, right-hander Roger Clemens won the title in both 1997 and 1998, his first two — and only — years with the Toronto Blue Jays after spending 13 years with the Boston Red Sox. In 1997 he had 21 wins to lead the majors, with a 2.05 ERA and 292 strikeouts. He also led the league in complete games (9) and shutouts (3). In 1998 he won 20 games with a 2.64 ERA. He had 271 strikeouts, accumulated at a league-leading pace of 10.4 per 9 innings. In both 1997 and 1998 he was selected for the All-Star team and won the Cy Young Award. 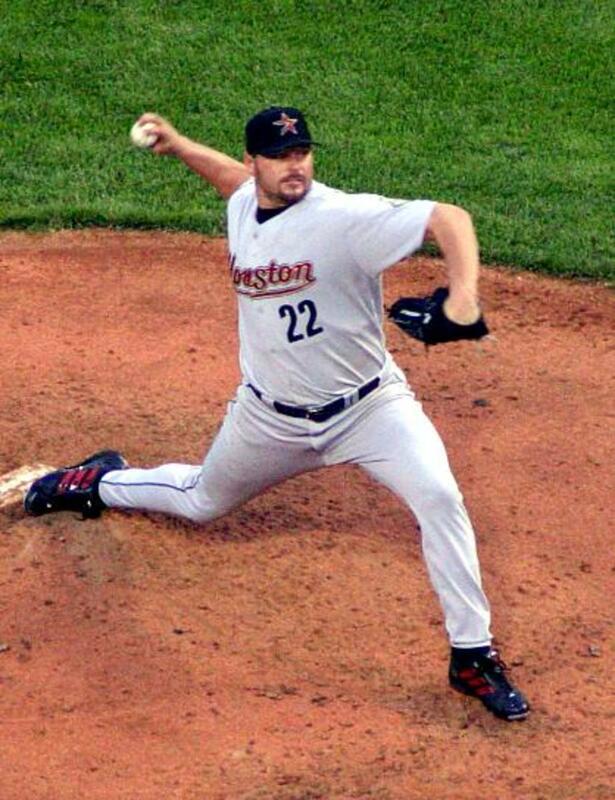 Clemens pitched in the majors for 24 seasons, from 1984 to 2007, including 5 years with the New York Yankees and 3 with the Houston Astros in addition to his years with the Red Sox and Blue Jays. With 6 seasons of 20 or more wins, including 4 seasons in which he led the majors, he accumulated a career total of 354 wins, 9th on the all-time list. He is 3rd on the career strikeouts list with 4,672, and his lifetime ERA is 3.12. “The Rocket” won 7 Cy Young Awards in his career, more than any other player. He was the American League MVP in 1986, and he was selected to 11 All-Star teams. 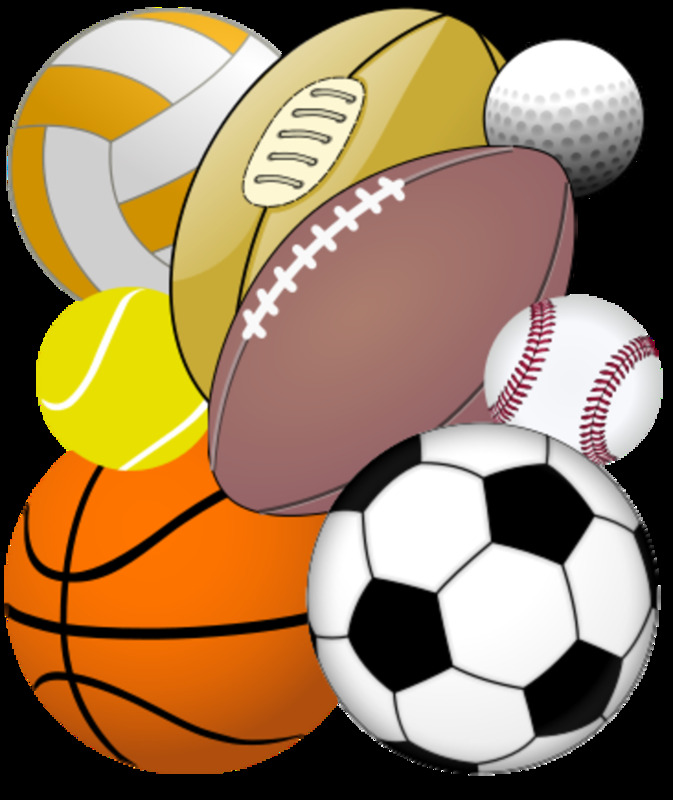 Unfortunately, he became embroiled in legal problems connected with baseball’s banned substance controversy. Were it not for those problems, as one of the all-time greatest pitchers in baseball history, Clemens would have been assured of election to the Hall of Fame in 2013, his first year of eligibility. Instead, he was named on only 37.6 percent of the ballots — just about half of the number required. His vote total has increased in subsequent years, reaching 59.5 percent in 2019. So there appears to be at least a decent chance that he will ultimately be elected. 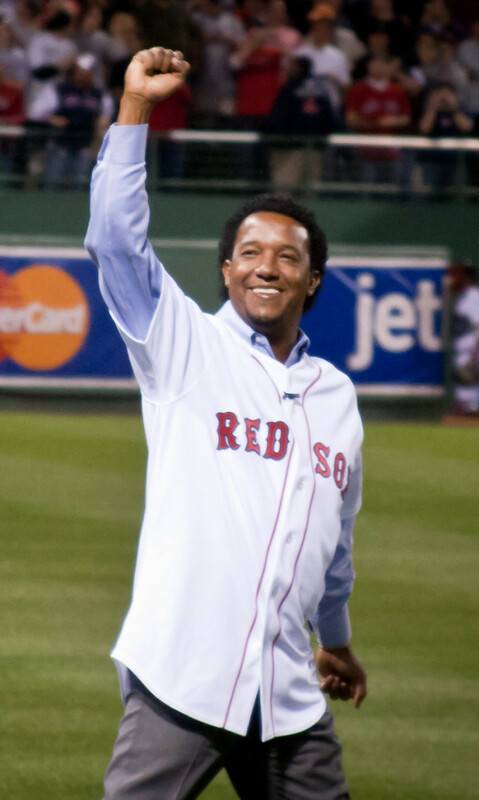 Boston Red Sox right-hander Pedro Martinez’s Triple Crown in 1999 included major league bests of 23 wins (versus 4 losses for a .852 winning percentage) and a 2.07 ERA, along with a career-high 313 strikeouts to lead the AL. He led the majors with 13.2 strikeouts per 9 innings and a strikeouts to walks ratio of 8.46. Boston won the AL Wild Card and beat the Cleveland Indians in the Division Series but lost to the New York Yankees in the AL Championship Series. Martinez was an All-Star and won his first American League Cy Young Award. Martinez pitched in the Major Leagues for 18 seasons, from 1992 to 2009, playing 7 seasons for the Red Sox and a total of 11 seasons for 4 different teams in the National League. His lifetime totals include 219 wins and a 2.93 ERA, and his 3,154 strikeouts place him 13th all-time. He led the majors in ERA 5 times and led the AL in strikeouts 3 times. Martinez was an 8-time All-Star, and he won the Cy Young Award 3 times, once in the NL while pitching for the Montreal Expos and twice in the AL, both times by unanimous votes. Martinez was elected to the Hall of Fame in 2015, his first year of eligibility, with 91.1% of the vote. 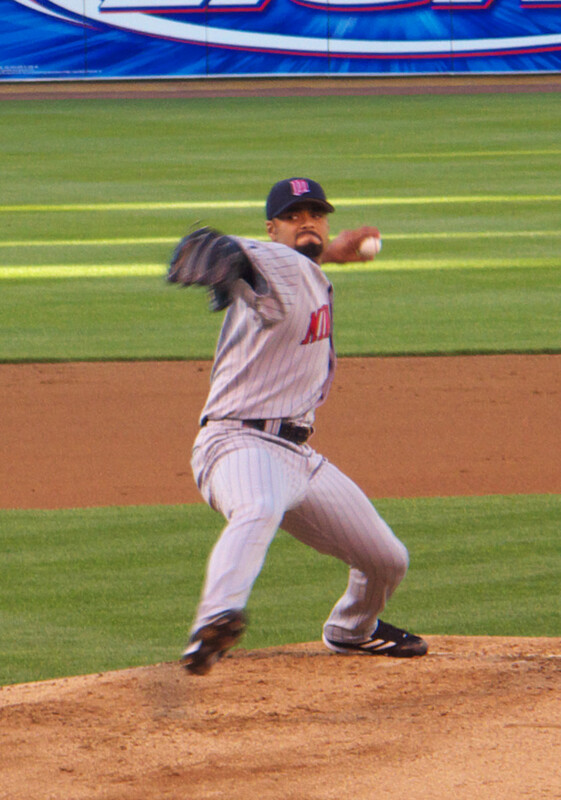 Left-hander Johan Santana of the Minnesota Twins won the Major League Triple Crown in 2006 with 19 wins, a 2.77 ERA, and 245 strikeouts. He also led the majors with a 0.997 WHIP (walks plus hits per innings pitched). Santana was named the winner of the Cy Young Award as the Twins won the AL Central Division but lost to the Oakland Athletics in the Division Series. Santana earned 139 wins in a career that spanned 12 active seasons, including 8 with the Twins and 4 with the New York Mets. He missed the entire 2011 season due to injury but returned for a final season in 2012, which included a no-hitter against the Cardinals — the first ever in Mets' history. Santana has 1,988 strikeouts to go along with a 3.20 career ERA. He is a 4-time All-Star, a Gold Glove winner, and a 2-time American League Cy Young Award winner. He was on the Hall of Fame ballot for the first time in 2018, but he was named on fewer than five percent of the ballots, resulting in his removal from subsequent ballots. Justin Verlander captured the Triple Crown with a remarkable season for the Detroit Tigers in 2011. The big right-hander led the majors with 24 wins against only 5 losses and his 250 strikeouts were also tops in the big leagues. His AL-best .240 ERA was tied for 3rd in the majors, as NL Triple Crown winner Clayton Kershaw took top ERA honors overall. With his .828 winning percentage and a major league best 0.920 WHIP in addition to his Triple Crown, Verlander was the unanimous winner of the 2011 American League Cy Young Award. He also became the first starting pitcher to be voted Most Valuable Player since Roger Clemens in 1986 and the only pitcher besides Sandy Koufax to win the Triple Crown and MVP award in the same season. 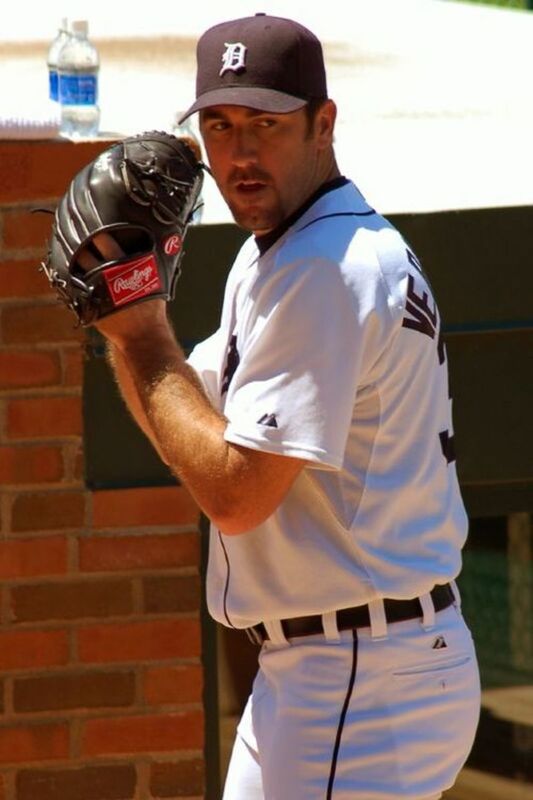 The 2006 American League Rookie of the Year, Verlander was a consistent winner for the Tigers for the better part of 13 seasons. Traded to Houston for the last month of the 2017 season, he went 5-0 for the Astros, following that up in 12018 with a 16-9 record and a league-leading 290 strikeouts. After 14 seasons, he has a lifetime mark of 204 wins against 123 losses, with 2,706 strikeouts and an ERA of 3.39. A 7-time All Star, Verlander was also named the 2011 AL Pitcher of the Year and Major League Player of the Year by The Sporting News. Who Will Be Next in the American League? Although the pitching Triple Crown is not won often, the achievement has been more common than the batting Triple Crown. Can Justin Verlander, who was 28 years old when he won the honor in 2011, repeat and join the small group of multiple American League winners? Or will another veteran pitcher step up and win the Triple Crown with a great season — or a young pitcher not yet on anyone’s radar screen? Who’s your candidate for a likely AL winner? Which of the 16 American League pitching Triple Crown seasons is the most impressive? Comprehensive biographical articles about major league players and managers, compiled by the Society for American Baseball Research (SABR). 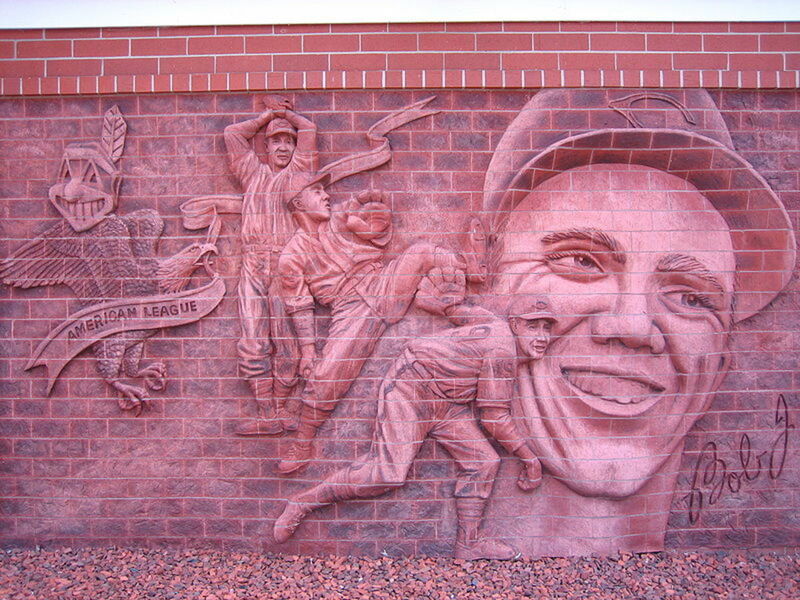 The ongoing project currently includes biographies of 9 of the 11 American League Triple Crown pitchers. No Hall of Fame election yet for Roger Clemens, although his vote total again increased, to 57.3 percent. He has four more years of eligibility. Do you think he'll make it? Should he? No Triple Crown pitcher again in the AL in 2016. Five pitchers ranked in the top 10 in each of the three Triple Crown categories. The five include Verlander (#1 in strikeouts), along with Rick Porcello of the Red Sox (#1 in wins), Corey Kluber of the Indians, Cole Hamels of the Rangers, and Chris Sale of the White Sox. So the 2013 Hall of Fame votes are in, and Roger Clemens got only about half of the votes necessary to get in. Should his impressive stats (including his two Triple Crowns) have been enough? I updated this hub to include Justin Verlander's 2011 Triple Crown. A great season -- will he win the MVP too? I first read about the wild pitch in a Bennet Cerf book called, I think, "Try and Stop Me." It's the lead in baseballlibrary.com's article on Chesbro. The hazards of the spitball, I guess. In 1908 Walsh pitched 464 innings and led the majors not only with his 40 wins, but also with his 269 strikeouts. (He also led the majors with 6 saves.) He missed the Triple Crown by finishing 3rd in ERA with a 1.42 mark, but his career ERA of 1.82 puts him in first place all-time. He is likely to remain there permanently: among active players, only Mariano Rivera comes anywhere close (2.22 as of this writing). I didn't know about Chesbro's wild pitch. His 41 wins are the "modern" (i.e., post-1900) record. Walsh's 40 in 1908 put him in second place, followed by Christy Matthewson's 37 in his 1908 NL Triple Crown season, and Walter Johnson's 36 when he won the 1913 AL Triple Crown. Even more amazing is that Walsh fell one short of Jack Chesbro's record of 41 wins for the 1904 New York Highlanders (later the Yankees). Almost as amazing: Chesbro's wild pitch on the last day of the season cost his team a chance to win its first pennant. I knew "Big Ed" Walsh when I was a kid In Connecticut. He won 40 games one season for the Chicago White Sox. Check out his amazing record for durability sometime. @daveh.pearlb - Thanks for your compliment ... I'm glad you enjoyed the article! And thanks for pointing out the Newhouser typo, which is now fixed. One of the best baseball history articles I've read. One nit: you've got 1940 as Newhouser's year in the lead-in and later correctly as 1945. Yes, I wasn't aware of that until I researched this. And there were some pretty good pitchers during those 52 years!